Cranberry harvest. 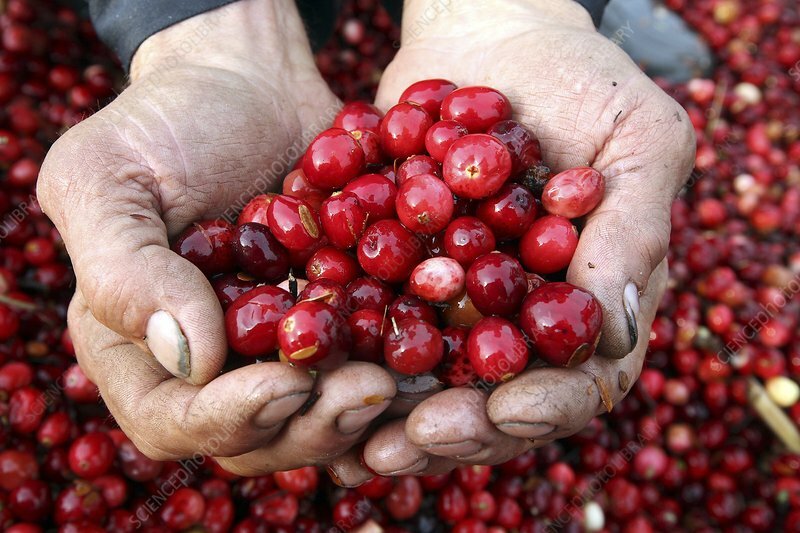 Worker with a handful of freshly-harvested cranberries (Vaccinium oxycoccos). Cranberries are grown in sandy fields, but for harvesting the fields are flooded and the berries removed from the plants mechanically. The berries float and are easily gathered. Photographed at the Belarusian Zhuraviny plantation.